How to name your Channel? Your channel is, by default, given your own name. In the above example, the channel name is “Jean Stair” because that is the name of the creator. You can change this name to whatever you want, but there is an art to creating the best youtube name for the desired theme of your videos. Alternatively, look at how PewDiePie or Vegetta777 came to be. Although they do not mean anything for other people, there must have been a reason behind using such names. (Do you know why Felix named his channel so? Let us know in the comments. But, who wants conventional names? Unless you are Jenna Marbles, you want something that gives a punch. Something like HolaSoyGerman. I’m sure most of you have missed the period at the end of the German vlogger’s channel name. (Go, check it out. I’ll wait.) A quirky name is hard to find, and new users should consider a lot of factors before choosing one. Names that are free from accent letters (à, ç) and hard words are usually recommended, but I have seen people using symbols like alpha (α) and sigma (Σ) being used in addition to English alphabets. 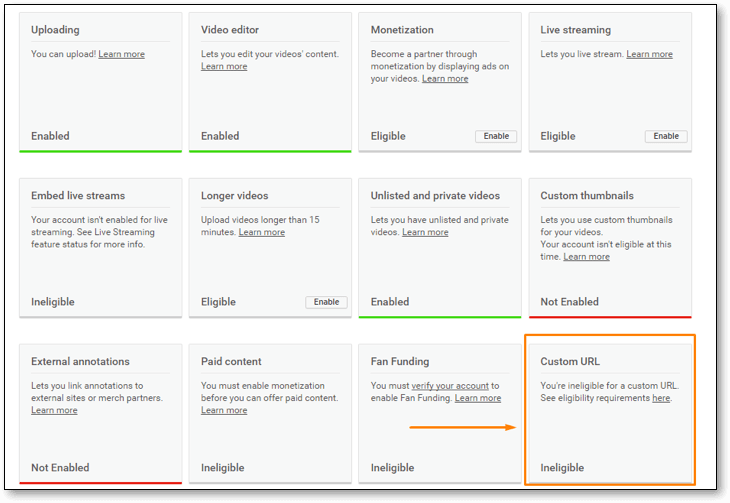 Once you satisfy these essentials, you can go to the YouTube Features page (https://www.youtube.com/features) and check if you are eligible. Watch this entertaining video that is perfectly made specifically for shortening your name and removing the ‘user’ part of your Youtube URL. If you don’t mind how the URL looks and don’t feel the need to change it then move past this step. If you haven’t done so already we would really appreciate if you could share Vlogginghero.com with a friend who will also benefit from our site, we have put a lot of work and research to provide great info, sharing is a ranking factor for us, just as it is a ranking factor for your youtube channel.